Once again we are in the month of March, which for me means, it is Birthday Bonanza! All three of my pumpkins were born in March. Thus the “March” portion of March Matron. I’m guessing I’m only fertile in the month of July but the fertility fairies make the annual ovulation as potent as the other months combined. It’s a theory anyway and a good general policy to stay isolated through the month of July. So a quick rundown. Montana is now 18 and officially no longer a minor. 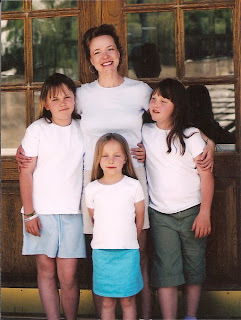 Sierra will be 17 in two weeks and Savannah, my baby is a teen! I think, officially, this makes me an old woman. "Dear parents, I am fully aware that money does not grow on trees. That is why I'm asking you for some."